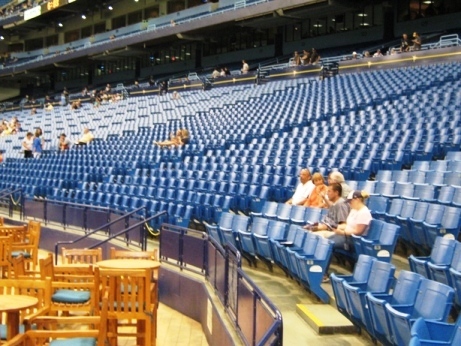 Here is my best Tropicana Field seating tip: Don’t pay more than you have to. OK, let me start this by saying I don’t necessarily condone moving into a seat that you didn’t pay for. It really isn’t fair to people who did pay for those seats, especially when they are the premium seats that cost a second mortgage. However, I don’t recall ever minding someone keeping a good seat warm that belonged to me, so long as they get out of it immediately and didn’t break wind too much. My philosophy on moving to a better seat is this: it’s okay so long as you don’t get greedy. If there’s 10,000 people in the ballpark, and you move from a seat that’s in the upper level in the outfield to an upper level seat behind home plate, that’s not going to bother me. If I paid for the Legends seats at Yankee Stadium and someone who bought a bleacher seat distracts an usher enough to sit next to me, I might not be too happy about that. And there are some premium spots on the Tropicana Field seating chart. Click here to own it NOW! Chance of catching a foul ball: Excellent. Anyway, to my point. The Rays average about 15,000 a night for most games. When the ballpark is barely half full on a good night, and if I wasn’t planning to sit in a premium seat, I would just get the cheapest ticket in the ballpark (which, at present, is for the tbt* Party Deck in left field) and move somewhere behind home plate out of everyone’s way. In my last trip to the Trop my seat was behind home plate anyway, and it wasn’t too expensive. But the three of us moved around and checked the ballpark out from different perspectives (all part of the job) with no problem whatsoever. By the end of the Tampa Bay loss we were sitting in seats that probably cost three times what I paid. 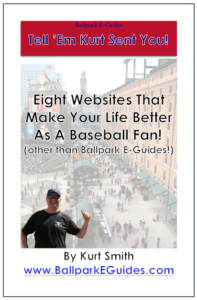 My guess is that by the second or third inning, you can improve your lie to a much better seat, so long as you’re not trying to get the field level seats in the infield. Just be ready to move if the nice usher asks you to. 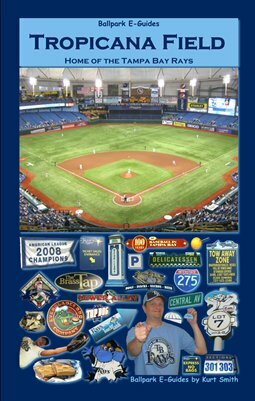 But hey, you can still find a great deal on Tropicana Field seating, especially if you consult this handy little guide.